Especially For Illustrators! 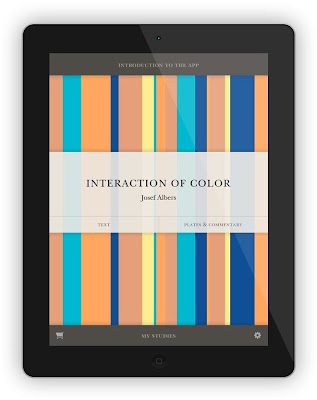 A Digital - and Interactive - Edition of Josef Alber's Landmark "Interaction of Color"
"Color studies demonstrating the principles of color relativity, intensity, and temperature, vibrating and vanishing boundaries, and the illusions of transparency and reversed grounds." • Full text and plate commentary. • Over 125 of the original color studies, including the “flaps” and moving pieces that have made the studies so captivating to generations of students. • Over 60 interactive plates and studies that allow you to experiment with color and find your own solutions to Albers’s famous problems. • Detailed discussion of key principles, including the relativity of color; light intensity and brightness; how to make one color look like two or two colors look like one; transparency; after-image; film and volume colors; color temperature and humidity; and vibrating and disappearing boundaries. • The ability to create, save, and export your final designs and palettes into your favorite design software. • A beautiful new color palette tool. • Archival video of Albers in the classroom, and audio of the renowned teacher talking you through special exercises. • Original video commentary by experts explaining Albers’s principles, making even the most challenging problems easy to understand. • Interviews with leading designers and artists explaining how they use color in their professional practices. The Interaction of Color app is available FREE from the App Store on iPad at www.AppStore.com/InteractionofColor, and the complete version is available as an in-app purchase for $9.99. The free version allows users to view a full chapter, including text, commentary, and two interactive plates, and to experiment with all the features, including the color palette tool. The full version includes the complete text, over 125 color plates, over 60 interactive studies, and a wide range of video commentaries, interviews, and additional features. 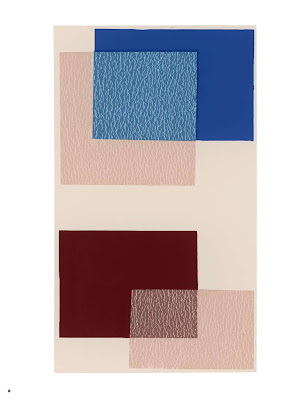 Created by Yale in partnership with the Josef and Anni Albers Foundation, and developed by Potion Design. When I visit schools, kids (and their teachers) often seem stunned by how much time it takes to create a book and how many people are involved in the process. 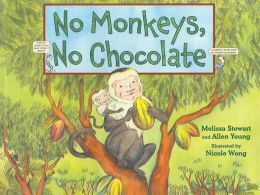 My new picture book, No Monkeys, No Chocolate, is an extreme example. It took 10 years, 56 revisions, and 2 fresh starts. Let’s face it. Sometimes dumping everything and starting from scratch is the only way to find the story you really want—and need—to tell. When it came time to think about promoting No Monkeys, No Chocolate, I knew I’d do the standard stuff—Teachers Guide, Storytime Guide, Activity Sheets, reach out to bloggers, solicit radio and print interviews, etc. But I also wanted to do something special, something unique, something useful. That’s when I remembered all those stunned kids. I can only reach out to so many of them at in-person visits or via Skype. How could I share the idea that revision is the heart of the writing process? How could I let kids know that creating a book takes hard work, dedication, and patience? Students shouldn’t balk at the idea of revising their writing assignments once or twice or even three times. Just like playing a sport or learning a musical instrument, writing takes practice. To communicate that message, I decided to create an Online Interactive Timeline that tells the story behind the book. It’s a combination of clickable elements—videos, WIP manuscripts, an interview with my editor, sample sketches, and even “final” art that didn’t make it into the book. I hope readers will find it useful. 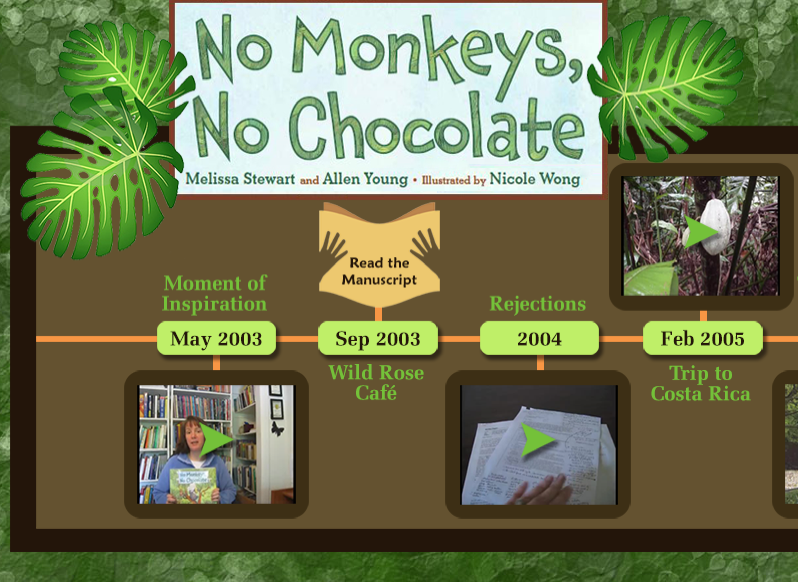 Melissa's Timeline for the creation of No Monkeys, No Chocolate is not just useful - it's a remarkable tool that's well worth exploring fully - for both young readers and for adults that want more insight into the process of writing a non fiction picture book! Thanks, Melissa! And I guess we should thank the Monkeys, too! 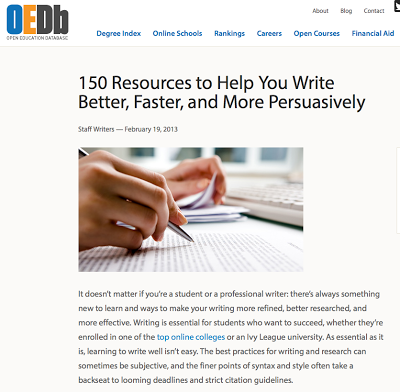 This article, 150 resources to Help You Write Better, Faster, and More Persuasively has some great links in it. Sections include resources on Blogs, Legal, Style and Citation, English, Genres, Info, News Digests, Media, Organization (as in organizing your writing), Organizations (as in professional, including a shout-out to SCBWI! ), Rhetoric, Tools, Word References and even Writing Software. There were many I'd heard of, and others I hadn't and thought, "Wow, really? That could be useful..."
1. 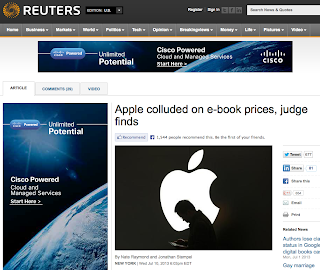 "In a sweeping rejection of Apple Inc's strategy for selling electronic books on the Internet, a federal judge ruled that the company conspired with five major publishers to raise e-book prices." Read more about the decision at Reuters, CNN, and TIME. 2. 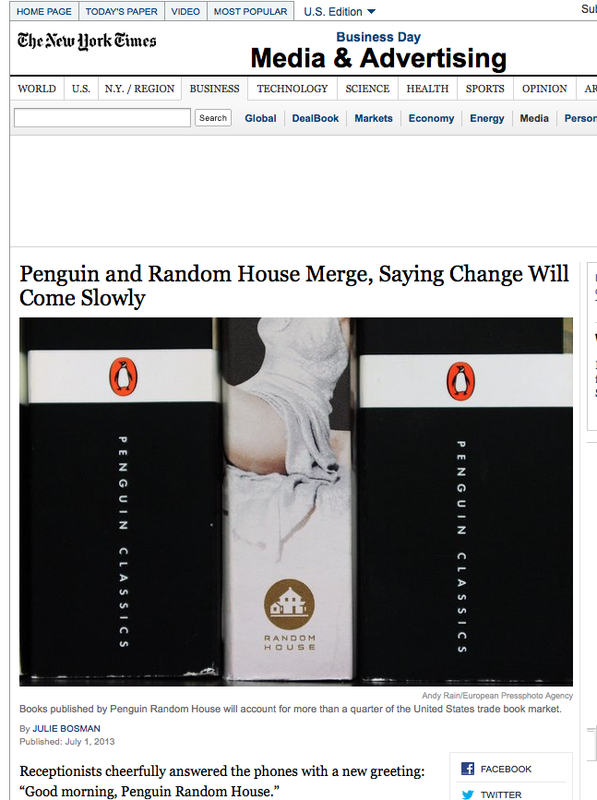 The Penguin Random House merger is complete. 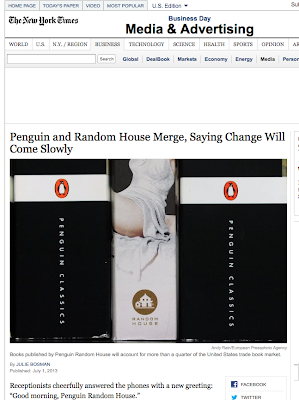 As the New York Times reported July 1, 2013, "Receptionists cheerfully answered the phones with a new greeting: “Good morning, Penguin Random House." 3. 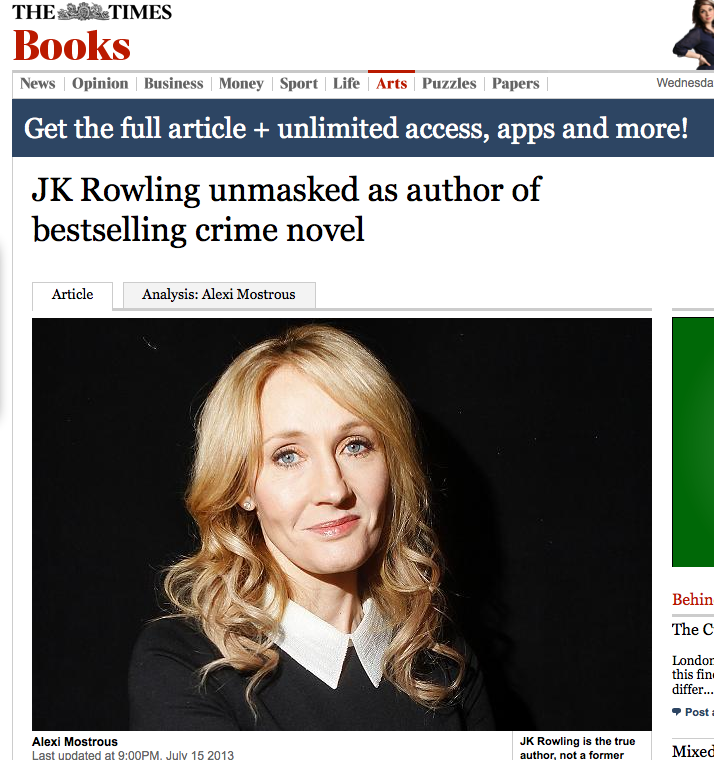 "The Cuckoo's Calling," published in April and credited to debut novelist Robert Galbraith turns out to have been a pseudonym of J.K. Rowling, the author of Harry Potter fame. "Despite excellent reviews, it sold few copies — until now." With the revelation of the actual authorship, "It has soared to the top of Amazon's and Barnes & Noble's best-seller lists as publisher Little, Brown rushes to print 300,000 new copies, which it plans to ship to stores later this week." Read more at USA Today, The New York Times, and this Sunday Times article of how they cracked the secret. Edie Parsons is the Inaugural Winner of the Karen and Phillip Cushman Late Bloomer Award! SCBWI's first winner of this award is Edie Parsons! Edie Parsons, winner of the first Karen and Philip Cushman Late Bloomer Award! Lee: Tell us about finding out you'd won the Karen and Phillip Cushman Late Bloomer Award. Edie: I was driving home from work when the call came. The voice said "This is Lin Oliver and Stephen Mooser with SCBWI…" and I think I went into shock. (I do have a vague memory of pulling off to the side of the road to talk.) Being selected for the inaugural Karen and Phillip Cushman Late Bloomer Award is such an honor! Karen's books are wonderful, of course, and I love that she writes about gutsy kids figuring out who they are. It's a thrill to be associated with her award. Being selected felt like a lightning bolt, and I think I even said as much on the call. I've been writing for awhile now, gradually learning and improving, and SCBWI has been a big part of my writer's journey. I'm excited that all those pieces have come together in this grant recognition. I truly believe that writing for youth is about passion, craft, and a heart for kids and their joys and struggles, and not about age. I admire Karen for building her writing career and body of work as she's done, and hope I can likewise make her and SCBWI proud, as the recipient of this award. Lee: Can you give us a brief description of the middle grade fantasy project you're working on? Edie: MERCURY SEA draws on my love of the mystery and poetry of historical alchemy, combining it with my passion for middle grade fantasy and science fiction. The story takes place in a world where alchemy works, crystal ships sail the seas, and the industrial revolution never happened. Twelve-year-old Morgan was raised at sea before being sent to finishing school, where she's a fish out of water. She soon becomes captivated by the alchemical science, but alchemy, with its furnace-driven workrooms, is forbidden to girls. Disguising herself as a boy, she apprentices to the immortal alchemist, Master Marlwyn. In the workroom she discovers that her "girl-essence" sends some alchemical processes awry, while making others work better than expected. Then a crooked alchemist poisons Master Marlwyn with a rare aging chemical, and Morgan is determined to save him, using her unique, girl alchemy to unlock the secret of reversing time. Lee: How will you use the grant money? Edie: MERCURY SEA takes place in an alternate world where traditional skills such as cooking on wood stoves or open hearths, working metals on blacksmith-type furnaces, and sailing via square-rigged ships are still practiced. Researching the "how to" of these elements, as well as their sight, sound, feel, and smell, is important to conveying a rich, authentic experience. So, I plan to use the grant funds to travel to Mystic Seaport: the Museum of America and the Sea, in Mystic, Connecticut. Mystic Seaport is a living museum, famous for its historical sailing ships, nineteenth century village, and extensive collections. While at the seaport, I'll conduct research for my novel through the collections and exhibits, as well as by taking advantage of the many opportunities for immersive observation and hands-on participation in historical activities. By utilizing this amazing resource, I hope to obtain an abundance of details, especially difficult-to-obtain sensory details, to incorporate into my writing, thus bringing additional depth and three-dimensionality to my story. Lee: In the first few pages of MERCURY SEA that you shared in your Work-in-Progress Grant application, you made your main character, Morgan, very likable. Can you share any insights on that? Edie: I really enjoy Morgan. She's such a rough-and-tumble, bold girl. She's not afraid to pull off a practical joke, stand up to bullies, break into the bad guy's house to save her master, or join forces with a band of ruthless pirates. Her struggle in this story isn't so much about discovering who she is, but rather about finding her place in a world that wants her to be a demure china doll. I think it's a universal struggle. We all have to do our best to hold on to who we are, while creating our niche within whatever situation or pressures we face. But with Morgan, you just know that journey is going to be a romp. She's someone I've thoroughly enjoyed getting to know and spending time with through the story, and I hope readers will, too. In her application, Edie wrote: "I love middle grade fantasy. It's what I read and what I write. The thing that most attracts me to middle grade fiction is that it celebrates young people discovering who they are and what they are capable of, before the whole boy-girl distraction thing fully sets in. The fantasy element allows those explorations to expand into richly imaginative settings, situations, and experiences not possible in the real world." I was not only intrigued and entertained by her story but I liked what she said in her statement about the importance of middle grade fiction (I agree), and, as a former museum studies professor, I applaud the use she'll make of the resources at Mystic Seaport. I can't wait to read the rest of the story. Have you seen all the grants and awards SCBWI offers? Check them out here! 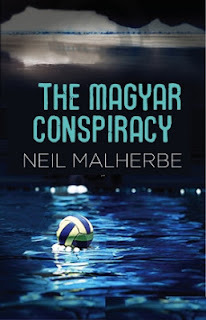 The 2013 Crystal Kite Award for the SCBWI Region Africa is Neil Malherbe for his novel, "The Magyar Conspiracy," published by Tafelberg Publishers. Crystal Kite Winner Neil Malherbe! Neil: ‘The Magyar Conspiracy’ is in the Boys Own Adventure/murder mystery genre. Set in Cape Town and Hungary, it tells the story of 16-year-old Sándor Novák, whose father dies in mysterious circumstances on Table Mountain. Sandy, as he is known to his friends, must travel to his father’s birthplace, Hungary, to uncover some of the secrets of why his father was killed. The parallels between South Africa and Hungary, and their transition from rigid totalitarian states to freedom (and the power void left in that wake), are the background to the story. I was grateful that the book won the Sanlam Prize for Youth Literature here in South Africa, along with the wonderful Crystal Kite award from SCBWI. Neil: Only since last year, so I have not yet had the benefit of any meetings but I have thoroughly enjoyed reading articles on the website, as well as in the Bulletin. I am excited to be speaking to members of the Gauteng branch early in July, and thank them for their kind invitation. Neil: I know that it is probably a cliché, but keep believing in your work – if it is good enough, somebody may well say yes to publishing it! It took three years for mine to be published. Also, as difficult as it is to expose your labour of love to the scrutiny of others, as with all works of art it is only by revealing it and asking for honest advice that it can be honed to its best possible form. Keep writing – and reading! And dreaming of what might be! Write what you know – it makes the writing more authentic. If not, make sure that you research thoroughly. Go for walks – it’s good for your heart...and your spirit...and your writing. It’s amazing how allowing a tumbleweed of an idea to roll around your head while walking just seems to gather up scraps of story. SCBWI SA does its best to make the benefits of SCBWI membership clear, both to members and to those who have shown interest. While some of our members have an established national and even international reputation, most have not yet been successful in having their work published. With the help of grants we have arranged programmes of professional development exclusively for members. Doug Cushman provided an inspiring start in his superbly clear and practical presentations during parallel retreats in Gauteng and the Western Cape. Participants were given individual intensives. There have been follow-up retreats/workshops for writers and illustrators in both places. We try to have a publishers' day every year in which writers and illustrators can meet publishers and punt their latest work. This always leads to new commissions. Opportunities for critique are usually offered in open meetings as a way of attracting new members. We also have a stand at the Book Fair in Cape Town - good advertisement for the organisation and an opportunity for members to make valuable contacts in publishing. For the rest, we have workshops and a range of speakers - speaking on their work or aspects of the children's book trade. Our members feature at national and international conferences and SCBWI SA is one of the nominating bodies for the Astrid Lindgren Award. Marjorie and I were delighted to have Neil's book chosen. It is a rich, enthralling youth novel and a worthy winner. The previous two winners in Africa were illustrated books for young readers. This award valuably affirms another genre. The Magyar Conspiracy has received favourable reviews in The Star, The Mail and Guardian and The Cape Times. 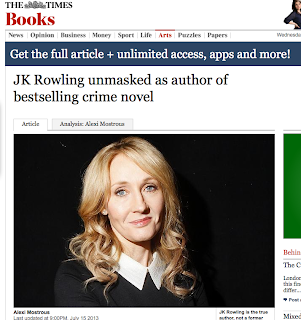 This is quite an accolade, as children's literature is not often noticed in the press. 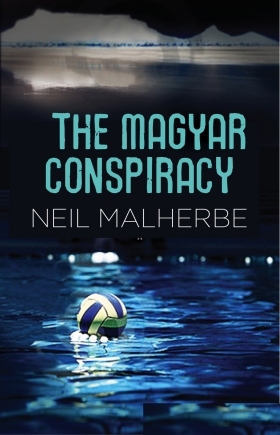 It is the more impressive, because this is Neil Malherbe's first novel. Neil will be speaking about his book at a meeting in Gauteng on 2 July. Later this year SCBWI SA celebrates its 10th anniversary and we hope he will be able to come to the celebrations in Cape Town. To learn more about SCBWI South Africa, go to their website here. Thanks to both Elaine and Neil, and cheers to Neil for his Crystal Kite win for "The Magyar Conspiracy!" The 2013 Summer Conference Is Nearly Sold-Out! 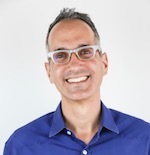 Don't miss out on Keynotes from Laurie Halse Anderson, Mac Barnett, Matt de la Pena, Bruce Degen, Gill Evans, Deborah Halverson, Jarrett Krosoczka, Kirby Larson, Peter Lerangis, Carolyn Mackler, Richard Peck, Jon Scieszka and David Wiesner! Illustrators, like illustrator's agent Mela Bolinao's "Preparing Your Best Portfolio" and three time Caldecott Winner David Wiesner's "Building Character: Personality and Visual Variety in Character Design,"
NonFiction, like Best-Selling author and editor Andrea Pinkney's "The Art and Craft of Nonfiction" and author Susan Rubin, author and school visit expert Alexis O'Neill and author and curator emerita of the Arne Nixon Center For Children's Literature Angelica Carpenter's "Writing Biographies for Children,"
PROtrack, like agent Ginger Clark's "Contracts: 10 Key Clauses" and editor Gill Evans' "Foreign Rights: The Global Marketplace and How Rights Sales Work"
and General, like agent Steve Malk's "The Big Picture: How To Take Charge of Your Career and Chart a Plan" and self-published author and attorney Randal Morrison's "How Self-Publishing Works" and actor, director, producer and author Henry Winkler and author and SCBWI Founder Lin Oliver's "Comedy Comes From the Heart" and interactive storybook app author Julie Hedlund and storyapp author Sarah Towle's "Picture Books and Story Book Apps: Same, Same but Quite Different" and fantasy author Brodi Ashton's "World Building from the Ground Up: Ten Questions to Ask Yourself Before You Hammer The First Nail, and Ten Aspects That Are Often Overlooked by Beginners" and so many more! Don't miss out on the portfolio showcase, the peer group critiques, the socials (Illustrator, LGBTQ Q&A, International and Nonfiction), the PAL booksale and wine and cheese party, The Black & White Ball, yoga for attendees and the Autograph Party! Don't miss out on the remarkable and career-changing Monday of intensives - for writers and for illustrators! Don't miss out on the craft, business, inspiration, community and opportunity that SCBWI offers at this amazing weekend in Los Angeles. You can find out all the details and still register for one of the few spaces left here. The Hero's Journey... Explained by Puppets! Thanks to Emma Dryden for sharing this with me, so I could share it with all of you! 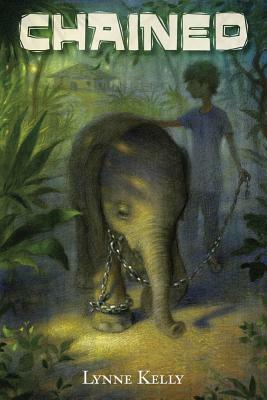 Lynne: Chained is a middle-grade novel about 10-year-old Hastin, who leaves his desert home in Northern India to work at a run-down circus as an elephant keeper to pay off his family's debt. He and the elephant, Nandita, become best friends, and Hastin soon realizes they're not going to be allowed to leave. 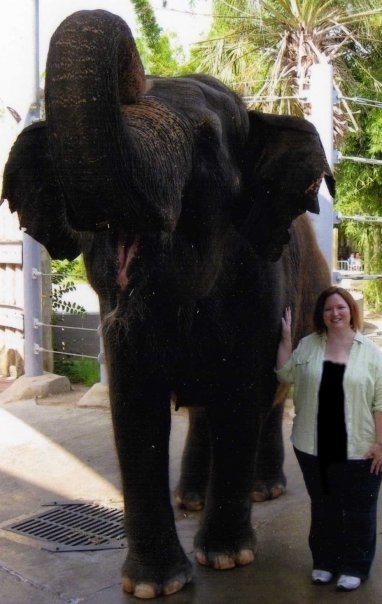 He protects Nandita from the cruel circus owner and trainer as best he can, while trying to find a way to escape with her and return to their own homes, even though it will mean saying goodbye to one another. Lynne: I started going to Houston SCBWI meetings and found a critique group in 2006, shortly after I started writing. I didn't know much about writing or publication, so I couldn't have done this on my own. Without the information I got from the meetings and the feedback from my critique partners, the book would be nothing more than a nice idea for a story on a Word document. I still attend the meetings and conferences and learn new things all the time. Lynne: Yes, read a lot! Reading great books helps us absorb good storytelling skills, and it's good to know what's being published now, too. Also, keep small notebooks with you for when you find that you have a little time during the day to write; you might not be able to carve out huge chunks of time to sit down at the computer, but a few minutes here and there adds up. Find a good critique group and listen to the feedback they give you about your work; you don't have to take every bit of advice they give you, but at least consider it. And if you're hearing the same feedback from multiple people, they're probably on to something. Do your research when it's time to submit to editors and agents--there are plenty of online resources for finding reputable agents and editors appropriate for your work. There are over 300 members in the Houston chapter. We have monthly meetings with a speaker; topics include writing all types of genres, illustration, how to market a book, social media, etc. We're lucky to have a lot of wonderful volunteers who help organize our events such as our annual conference which has close to 200 attendees. There are also smaller workshops during the year to help our members hone a particular skill such as website-building or novel-revision. Our members range from those who are just starting their writing/illustrating careers to those who are multi-published. Those with years of experience are generous with sharing their knowledge by speaking at our meetings, workshops and through critique groups. We're fortunate to have a vibrant group of talented folks that make up our fabulous chapter. All of us were thrilled when Lynne Kelly's book, CHAINED, won the Crystal Kite Award for the Texas/Oklahoma region. Lynne is a long-time member of our chapter and is the designated "tweeter" for our group. If you read her blog or follow her on Facebook, you'll immediately get a taste of her wry sense of humor and laugh out loud at her observations of the absurd world around us. She has spoken at our monthly meetings sharing her expertise on social media and inspiring us with her path to publication of her first novel. 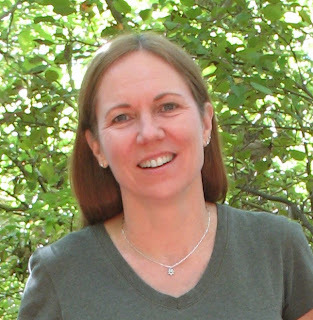 When not at her day job as a sign language interpreter, Lynne is busy working on her next middle-grade novel which we are eagerly waiting to read! Find out more about Lynne at her website here. Learn more about SCBWI Houston, Texas at their site here. Thanks to Lynne and Vicki, and cheers to Lynne for her Crystal Kite win for "Chained!" 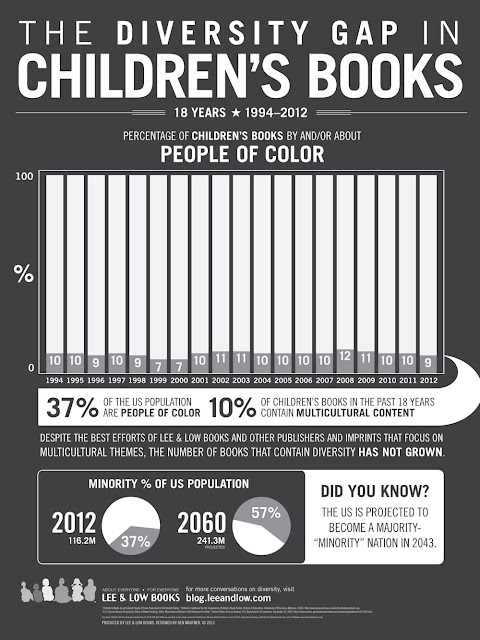 "the number of books that contain diversity has not grown." I think we saw the numbers of multicultural books flatlining when school and public libraries began to get funding cuts, so that publishers came to rely more on bookstores for sales. At around that time, we also saw the rise of Amazon, Borders, and B&N. I’ve heard many times from publishers that the “buyers at B&N” believe multicultural books don’t sell. When they are not stocked in these bookstores, it becomes a self-fulfilling prophecy. There may be a perception among some teachers and others whose job it is to connect children and books that “multicultural books” are only for or mainly for so-called minorities, rather than for all children. I think authors of color who do not produce manuscripts that fit an expected demographic, who, for example, are writing books featuring characters who are middle class, instead of poor, or characters who live in two-parent households, instead of single-parent homes, are finding it difficult to place their manuscripts. That, of course, speaks to the perception that only people of color will want to purchase books by people of color, and so publishers want to play to the audience which they believe—wrongly or not—is the average, or the norm. "...it’s a many headed Hydra of difficulties. It can be overcome. There just needs to be a concentrated effort." Shocking statistics, wonderful discussion. Go check it out!